THAT'S THE SPIRIT: Grand Gala 2014 was an Independence bash to remember. 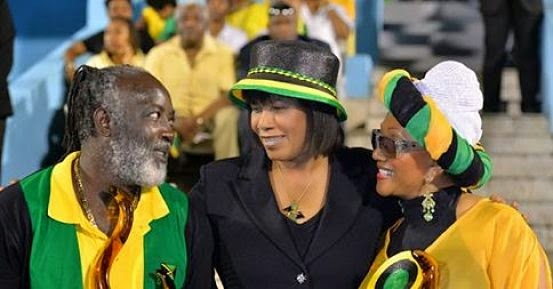 Above, PM Simpson-Miller, with McGregor and Griffiths. By the time enduring reggae queenpin Marcia Griffiths hit centrestage at Wednesday's Grand Gala, resplendent in sunshine yellow and her signature headgear, the jam-packed National Stadium had been properly amped, thanks to the preceding mix of music, dance and speech presentations that all spoke to the spirit of Emancipendence. In a nutshell, it was an extravagantly staged and pleasantly diverting concert - complete with marching bands, over 2500 performers supplying the passion and the rhythm, and nearly five minutes set aside for an attention-grabbing fireworks display to bring the spectacle to a close. Those who didn't make the trip to the Stadium missed out on something truly befitting a country marking 52 years as an independent nation. Halfway through the event, PM Portia Simpson-Miller made her way to the podium to present career-achievement plaques to musical giants Freddie McGregor, the Skatalites and Griffiths herself, whose mainstage performance was made all the more notable thanks to a brisk reunion stint with I-Three sister Judy Mowatt. 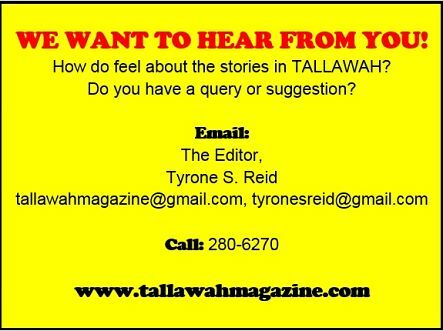 Since Rita Marley was unavoidably absent, a talented young miss did her best to fill in for the legendary songstress and together the trio served up groovy renditions of hits from the Bob Marley catalogue. McGregor ("Wait For You," "Winner," "Carry Go Bring Come") and the Alpha All Stars Band also performed splendidly, as did a fresh-from-foreign Etana, whose voice is as mesmerizing as ever. Hitting golden notes, the award-winning singer had all of us backing her up as supporting vocalists on renditions of "Wrong Address," "Roots" and "Jah Jah Blessing" before closing her set with "I Am Not Afraid." 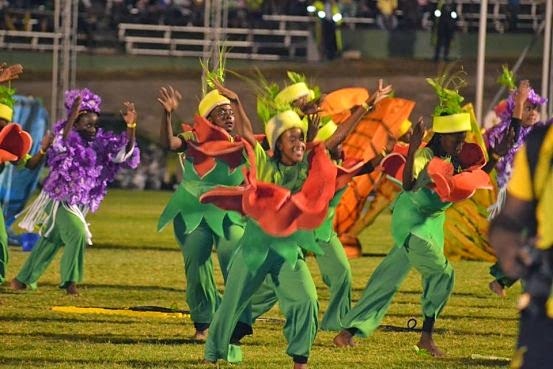 The annual observance of Jamaica's Independence is a big deal, so the climactic Grand Gala demands that producers pull out all the stops in service of a showcase that will linger in people's minds. What we witnessed on Wednesday, in spite of the minor shortcomings, more than lived up to the expectations.